Everyone wants you to vote (especially us). Uber and Lift will drive you to the polls for free, Shake Shack will give you free fries, and a bunch of other places are handing out free food to voters this Election Day. 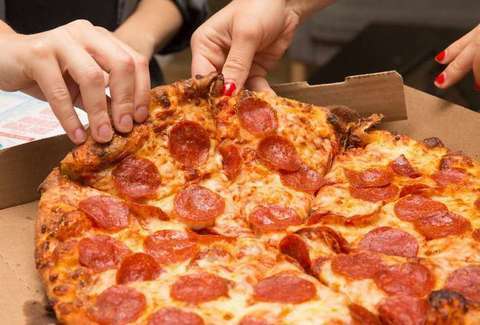 And, it turns out, if you're stuck in a long line at your polling place, you can get free pizza delivered to the line. Really. The non-profit Pizza to the Polls, which was founded in 2016, exists just to send free pizza to people in long voting lines. If you and your fellow citizens are starting to get a bit hangry, just head to the website and fill out the form on the homepage to report a long line. Add an address, a photo/link to a social-media post showing the line, and your phone number/email address -- and then free pizza and a better future for the country could both be in your future. Pizza to the Polls will verify that there are in fact long lines at your polling place and promptly send culinary relief. As of now, 4,572 have been sent to 243 polling places in 37 states for the 2018 election, according to a counter on the nonprofit's website. In some cases, it was too early for pizza places, so donuts were sent instead. If you've already voted (proud of you! ), you should consider donating some pizzas, which the website breaks down into pies-per-dollar amounts: $20 for one, $100 for five, etc. Whether you consider buying your fellow citizens your civic duty is up to you, but voting is not up for discussion.